We are live as we bring you all the latest on Sir Alex Ferguson's future at Manchester United after reports late on Tuesday suggested there could be an announcement on his future at the Premier League champions this week. So with plenty of speculation around regarding the future of Sir Alex Ferguson at Manchester United, we want to hear your thoughts on the reports you are waking up to today. If Ferguson is to retire, is this the right time? Everton boss David Moyes and Real Madrid manager Jose Mourinho have both been linked with taking over if the reports prove true. Are they the best candidates or are there others out there? Jurgen Klopp at Dortmund maybe? Ferguson has been manager of United since 1986, what are your best memories of his time at the club so far? They have David Moyes and Jose Mourinho down as favourites, with Moyes looking more likely. As far as they are concerned Mourinho had a verbal agreement with Chelsea ahead of this announcement. Serrano says anything can happen though and recalls the quotes of Mourinho talking about United when they met in the Champions League. Moyes is an unknown in Spain & he suggests that the current Everton boss would be seen as more of a transition manager, possibly even for Mourinho further down the line. Former Manchester City and Arsenal midfielder Patrick Vieira: "It is the end of an era for a truly great ambassador, not only for the Premier League but for football overall. Best of luck to Sir Alex." The Times is reporting that Everton manager David Moyes will be named as the new boss of Manchester United in the next 24 hours. Front page of Wednesday's Manchester Evening News: "Sir Alex Quits". QPR midfielder Joey Barton, who is on loan at Marseille: "Fergie retires. What an act to follow. All the best to whoever picks up the gauntlet. Looks like Moyes. Big loss for EFC but great opportunity." Former Man United captain Steve Bruce on reports that Everton manager David Moyes could be named the next manager of Manchester United tells Sky Sports: "It would not surprise me. He's a very talented manager who has been at Everton for more than 10 years. Uefa president Michel Platini: "Sir Alex has made a massive contribution to football, not only in Scotland and in England, but across Europe and beyond. His dedication, his attention to detail and his unique eye for talent, as both the manager of Manchester United and Aberdeen, has brought rich rewards over a 30-year period. "His CV is almost unique in a results-based profession that normally focuses on short-term solutions rather than long-term vision." Prime Minister David Cameron says: "Sir Alex Ferguson's achievement at Manchester United has been exceptional. Hopefully his retirement will make life a little easier for my team Aston Villa." Chelsea pay tribute to Sir Alex Ferguson, saying: "All at Chelsea would like to wish Sir Alex Ferguson the very best in his retirement. He has been a fantastic adversary over 26 years." Fifa president Sepp Blatter: "Just heard Sir Alex Ferguson is retiring at end of season. His achievements in the game place him without doubt as one of the 'greats'. Was honour to present Sir Alex with award at 2011 Ballon D'Or. Will his longevity at the top ever be repeated?" Manchester United statement reads: "The most successful manager in English football history will bow out after the West Bromwich Albion game on 19 May and join the football club board." Sir Alex Ferguson was unveiled as manager of Manchester United on 7 November 1986 - 26 years and 38 trophies later, he announces his retirement. "Alex's vision, energy and ability have built teams - both on and off the pitch - that his successor can count on as among the best and most loyal in world sport." Manchester United chief executive David Gill says: "I've had the tremendous pleasure of working very closely with Alex for 16 unforgettable years - through the Treble, the double, countless trophy wins and numerous signings. "We knew that his retirement would come one day and we both have been planning for it by ensuring the quality of the squad and club structures are in first class condition. Manchester United co-chairman Avie Glazer says: "I am delighted to announce that Alex has agreed to stay with the club as a director. Manchester United co-chairman Joel Glazer says: "Alex has proven time and time again what a fantastic manager he is but he's also a wonderful person. His determination to succeed and dedication to the club have been truly remarkable. Ferguson also thanks the Manchester United fans for their support over the decades. "The support you have provided over the years has been truly humbling," says Ferguson. "It has been an honour and an enormous privilege to have had the opportunity to lead your club and I have treasured my time as manager of Manchester United." "Over the past decade, the Glazer family have provided me with the platform to manage Manchester United to the best of my ability and I have been extremely fortunate to have worked with a talented and trustworthy Chief Executive in David Gill. I am truly grateful to all of them." Our training facilities are amongst the finest in global sport and our home Old Trafford is rightfully regarded as one of the leading venues in the world. Ferguson says: "The decision to retire is one that I have thought a great deal about & one that I have not taken lightly. It is the right time. A United statement reads: "The most successful manager in English football history will bow out after the West Bromwich Albion game on 19 May and join the football club board." 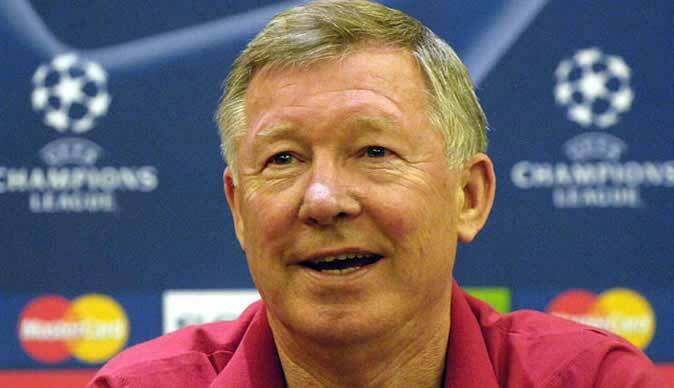 Sir Alex Ferguson will retire at the end of the season, Manchester United confirms. Former Manchester United goalkeeper Peter Schmeichel: "Let's hope the 'major announcement' at 2.30 is Ronaldo coming back rather than SAF stepping down." Where does Sir Alex Ferguson rank among the best football managers throughout the sport's history? Only last weekend, in his programme notes for Sunday's Premier League defeat by Chelsea, Sir Alex Ferguson insisted he was intent on carrying on indefinitely. Sir Alex Ferguson's achievements at ManU. Premier League: 1993, 1994, 1996, 1997, 1999, 2000, 2001, 2003, 2007, 2008, 2009, 2011, 2013; FA Cup: 1990, 1994, 1996, 1999, 2004; League Cup: 1992, 2006, 2009, 2010; Uefa Champions League: 1999, 2008; Fifa Club World Cup: 2008; Uefa Super Cup: 1992; Uefa Cup Winners Cup: 1991; Inter-Continental Cup: 1999; FA Charity/Community Shield: 1990 (shared), 1993, 1994, 1996, 1997, 2003, 2007, 2008, 2010, 2011. After becoming Manchester United manager in 1986, Sir Alex Ferguson's job was reportedly in danger after a disappointing run of results early in the 1989-90 season. However, United recovered to win the FA Cup that year and more successes quickly followed, with the Reds winning the European Cup Winners' Cup in 1991, the League Cup in 1992 and the inaugural Premier League title in 1993. In August 1967, Sir Alex Ferguson moved to Rangers from Dunfermline Athletic for √Ç¬£65,000 and went on to score 25 goals in 41 appearances for the Scottish club. An old-fashioned centre forward, Ferguson spent his entire playing career in Scotland, retiring in 1974 while at Ayr United. Sir Alex Ferguson's first game in charge of Manchester United was a 2-0 defeat to Oxford back on 8 November 1986. That is 26 years ago. Sir Alex Ferguson was planning his summer transfer activity as recently as 30 April, saying at the time that he believes Manchester United will not be found wanting in the transfer market when the window opens. Earlier this month, Ferguson said he had no plans to quit as ManUnited manager after the club confirmed he will have surgery in the summer. Ferguson, 71, will have a hip operation but insisted on 4 May his plans were unaffected. "It's always difficult in football to be absolutely sure of the future because the game has a habit of tripping you up," said Ferguson at the time. "I don't have any plans to walk away from what I believe will be something special and worth being around to see." Manchester United are expected to make a statement to the New York Stock Exchange before it opens at 1430 BST. The Premier League champions are listed on the NYSE and its rules require a company to release statements about significant information that relates to how it is run.